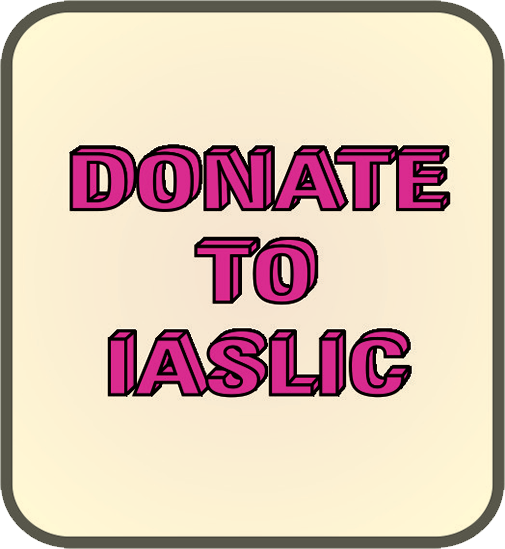 The Indian Association of Special Libraries and Information Centres (IASLIC) is a non-profit organisation based in India that supports development in the entire field of special librarianship in India. 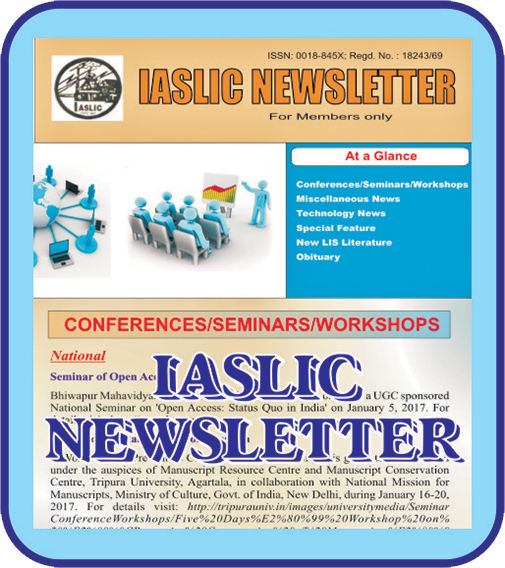 The IASLIC undertakes supports, coordinate research and studies, conducts short term training courses; organises general/special meetings, and hold seminars and conferences in alternate years on current problems of Libraries and Information services and other allied areas are selected as themes for discussions on theses occasions. It also publishes journals, monographs, manuals, newsletters, papers, proceedings and reports. •	undertake such other activities which are incidental and conducive to the attainment of its objects. While the Association consistently strives to improve the standard services in all kinds of libraries, within its scope, systematic efforts are also being made to raise the emoluments and professional status of the library personnel. It brings together the library and information personnel in all kinds of government and non-government organizations. By so doing the IASLIC speaks the professions a whole. To bring about mutual co-operation and unified action on matters of common interests, IASLIC mooted the idea of forming the Joint Council of Library Associations of India (JOCLAI) especially of those at national level. The JOCLAI meetings take place during the national meets of each IASLIC and ILA. It has formulated a Code of Ethics for the library profession in India. 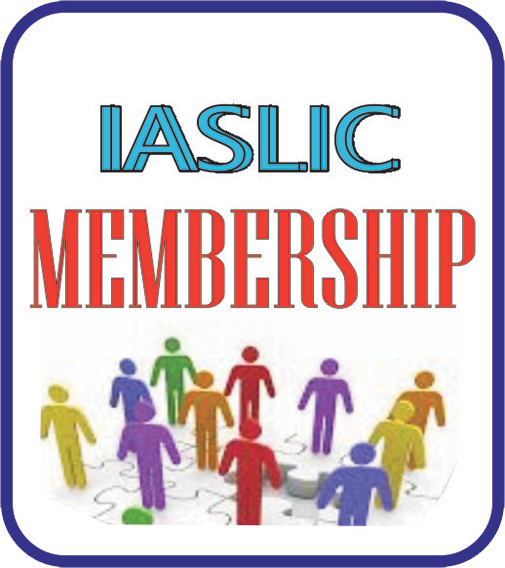 The revenue of the IASLIC is drawn mostly from the membership subscription and from sale of publications. Ad-hoc grants-in-aid are, however, received from different funding bodies mostly against some specific projects. So far it has practically borne the entire financial burden of its various projects, publications and activities out of its own resources and without substantial and systematic subsidy from the Government or from any other organization. IASLIC maintains its headquarters at Kolkata in a small three storied building of its own at P-291, CIT Scheme No 6M , Kankurgachi, Kolkata -700 054, West Bengal, India in the vicinity of CIT industrial housing estate behind the Ramakrishna Samadhi Road Post Office. The Office is run by Voluntary workers and remains open from 2 p.m. to 9 p.m. except Sundays, second Saturdays and national holidays. The mark of nineteenth century brought the development of many special libraries in India. By beginning of twentieth century a need was felt to develop an association of such special libraries to have better co-operation among these libraries across the country. An attempt was made in 1949 to set up a special library association as a wing of the Indian Library Association. It did not materialize immediately. The second attempt was made in 1955. Shri J. Saha of the Indian Statistical Institute, Shri A. K. Mukherjee of the Anthropological Survey of India, and Shri G. B. Ghosh of the Geological Survey of India issued a brief circular on June 18, 1955 convening a meeting. It was sent to a large number of librarians in India. The meeting was to be held on Saturday, 25 June at 4 P.M. in the Lecture Theatre of the Indian Museum. In addition to the initiative of the three prime movers, the enthusiasm and inspiration of the late Dr. S. L. Hora, a Zoologist of international repute, and the then Director of the Zoological Survey of India were greatly responsible for the success of this venture. The meeting of 25 June 1955 was well attended. Many librarians and documentalists from far of places attended the meeting. The circular of the meeting specifically mentioned “Perhaps you also have felt along with us the necessity of having a Special Libraries Association in our country to encourage and promote the collection, organization, and dissemination of information; to develop the usefulness and efficiency of special libraries and other research organizations; and to encourage the professional welfare of its members”.